Protect the walls of your property with a long lasting render! Next Level Plastering use expert knowledge to ensure render is put up in the correct conditions with a high quality standard finish. An external render is ideal for protecting the walls of your property. The render is long lasting and weather resistant as it creates a flat water proof finish. There are some materials which should always be rendered such as earth. Whilst others, such as brick and stone, do not have to be rendered but still can be. Rendering is a complicated process and there are definite rules to how it should be completed. Next Level Plastering has expert knowledge in this field and so you can trust that they can complete the job to utmost satisfaction. For decayed render to be repaired, the wall should be brushed off to remove the loose material. Next Level Plastering always make sure this is completed before the new rendering is applied. Next Level Plastering also ensure that the wall is properly primed before hand and the applied coats are held on an inch thick, this prevents the shrinkage and cracking of the render from occurring. 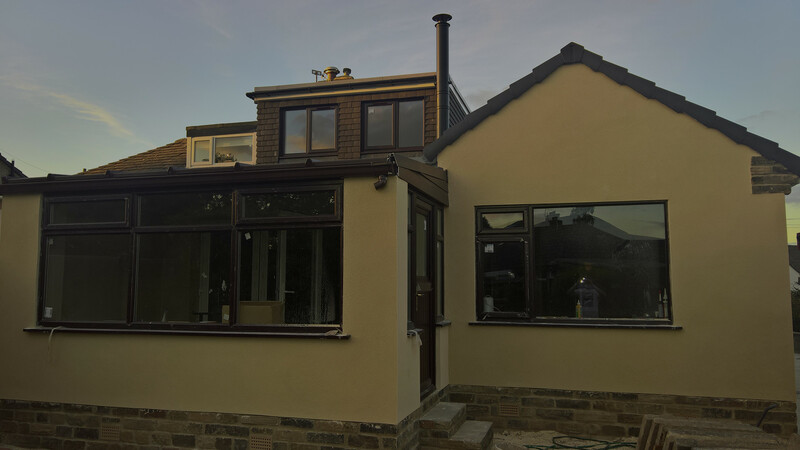 The application of rendering can sometimes be affected during winter months, to ensure that clients are not inconvenienced for a time to decorate Next Level Plastering render is protected with hanging polythene over the winter months which protects the render from frost. This is why Next level Plastering is Yorkshire’s finest rendering team.